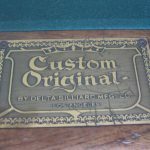 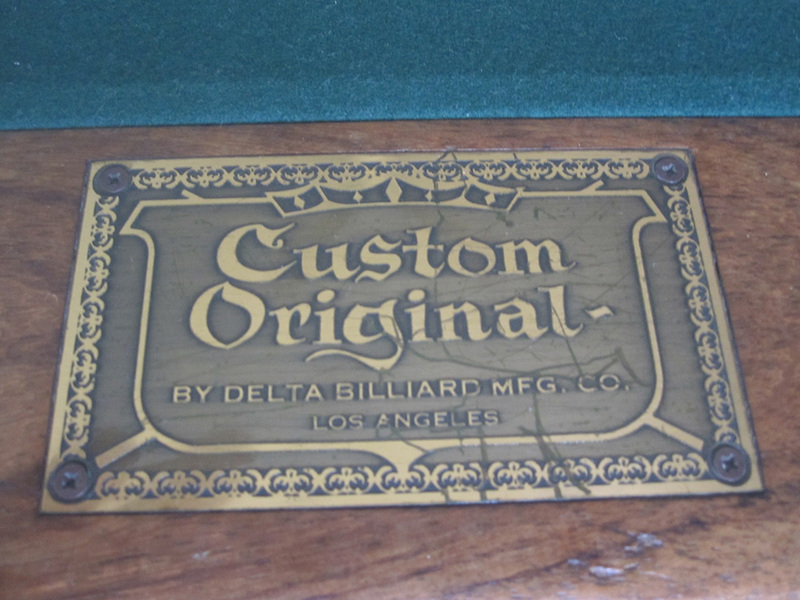 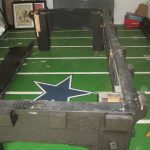 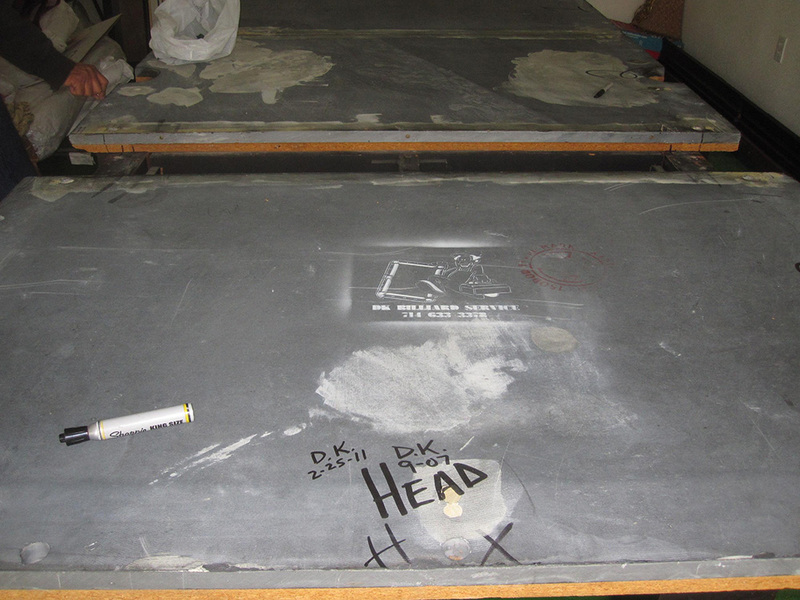 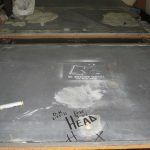 Last week we were hired to disassemble an old 1970’s Delta nine foot pool table. 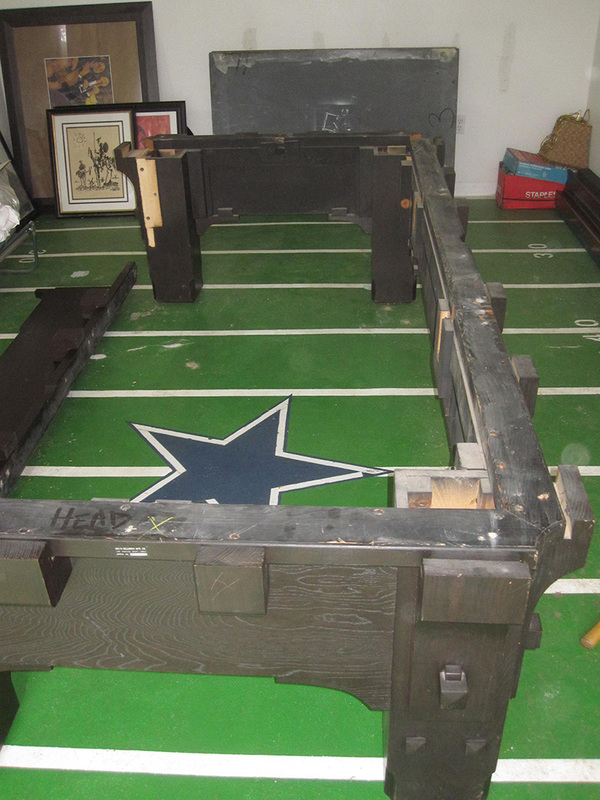 We setup this half ton monster in our client’s Santa Ana, CA garage about four years ago. 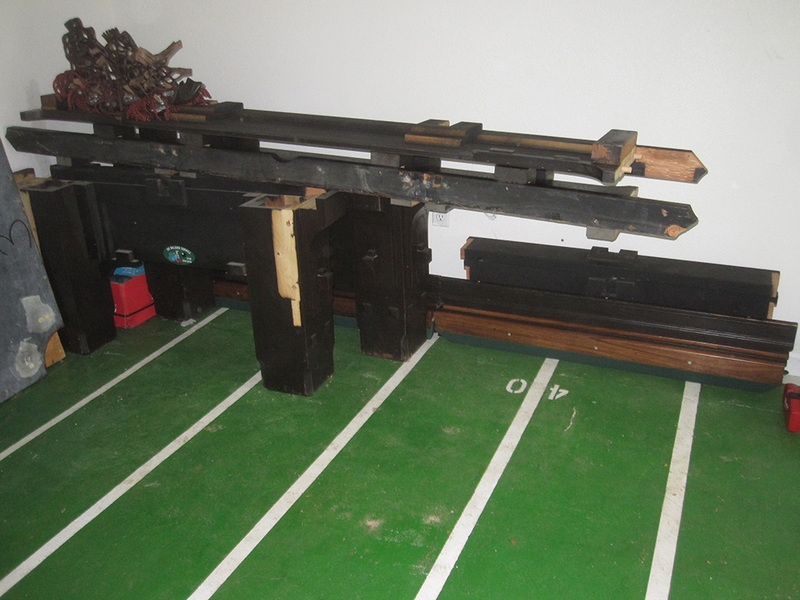 He realized that the this nine footer just didn’t fit in the space that he has. 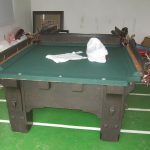 In the meantime his father-in-law had given an old Fischer seven foot coin-op pool table to him and his wife. 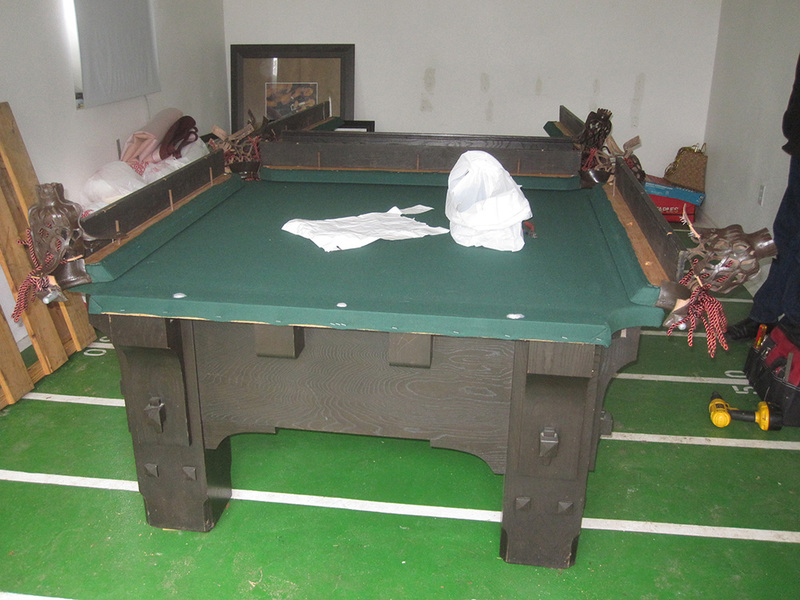 My client decided that this old 1960’s “pub style” pool table would fit much nicer in the space that the Delta occupied. 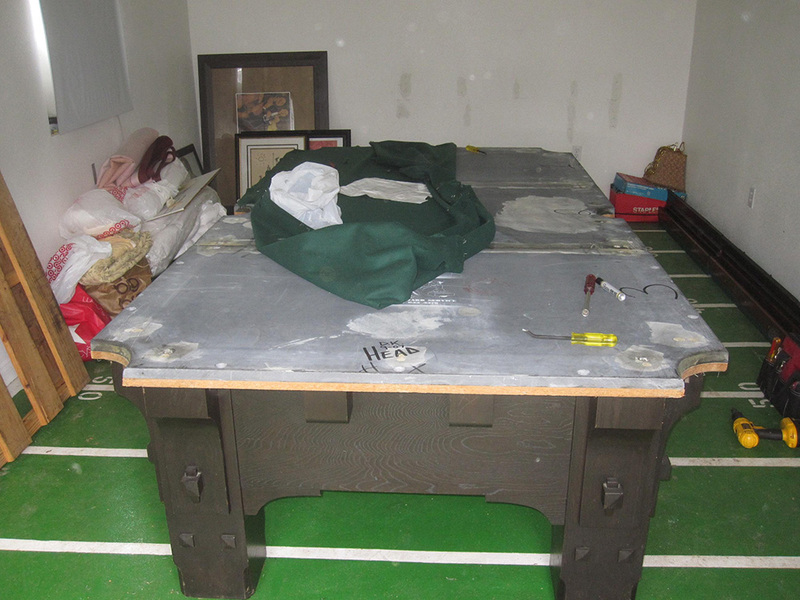 So on to our next project, restore an old Fischer regent VII. 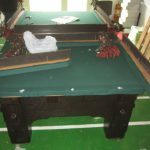 The old single piece slate pool table needs a lot of work before it can played on. 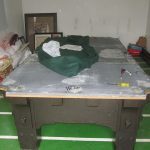 In the very least, it will need to be refelted and the rubber cushions will need to be replaced. 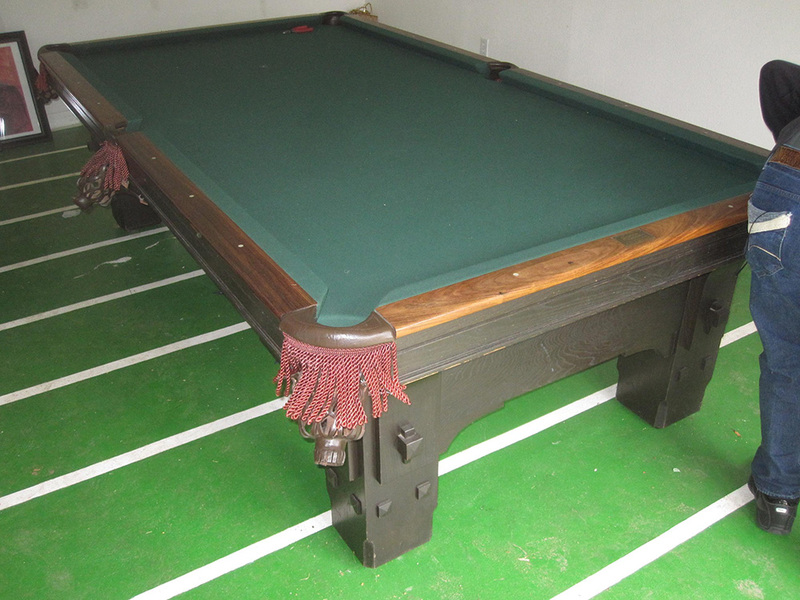 I suggested that we remove the ball return system and convert the pool table to a drop pocket design. 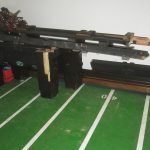 My client liked this idea. 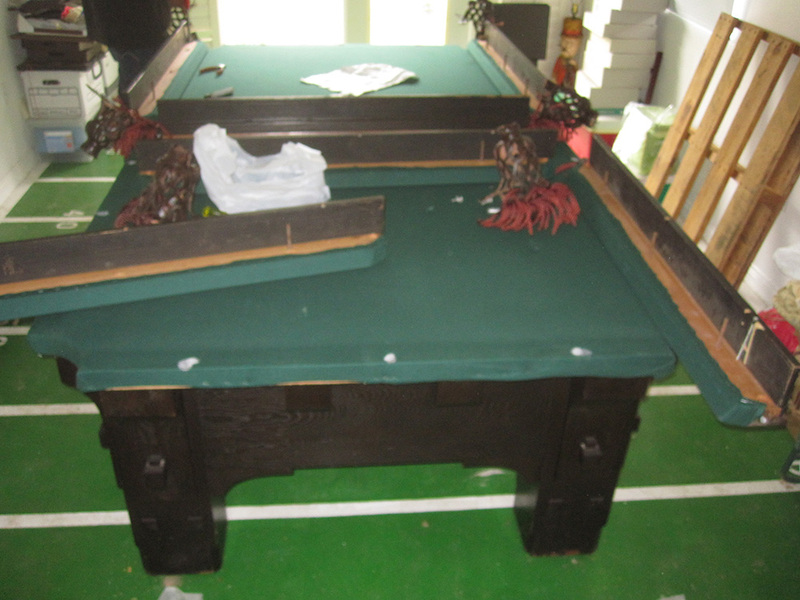 I’ll be posting a blog about this table once we kick-off the project.